Dual durometer extrusions are industrial rubber parts with different areas of hardness. 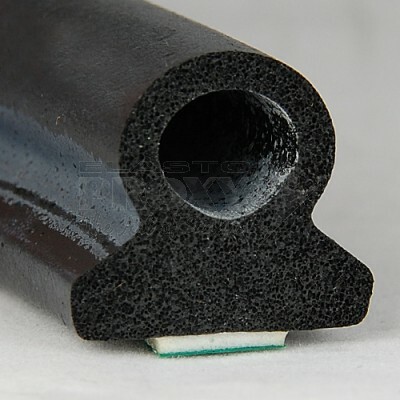 Typically, the harder rubber compound is used for attachment while the softer rubber is used for sealing. 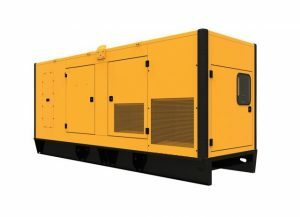 Sometimes, different rubbers are used because of design considerations such product color schemes or the use of pressure-sensitive adhesives (PSAs). Acrylic foam tapes provide durable bonding, superior sealing, and effective insulation. 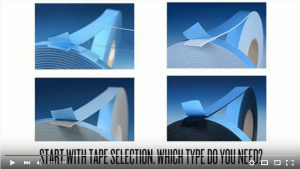 Learn about the advantages of these PSA tapes, how technical buyers and product designers select them, and how different types of acrylic foams tapes are used with infrastructure and mobile equipment. 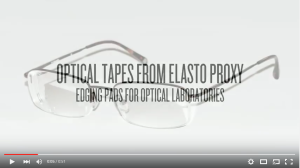 Elasto Proxy converts plastic foam tapes into edging pads for optical laboratories. Learn how these custom-fabricated optical tapes protect lenses, and how to choose the right edging pads based on lens coatings and other criteria. 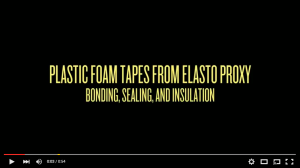 Elasto Proxy converts plastic foam tapes into complete bonding, sealing, and insulation solutions. Learn why industrial buyers and product designers are choosing acrylic, polyurethane, and PVC foam tapes. Plastic foam tapes are used for bonding, sealing, acoustic insulation, shock absorption, and vibration damping. They consist of a foam core, high-strength adhesive, and release liner. The foam core distributes stress evenly and transfers it away from the bond line. The pressure-sensitive adhesive (PSA) provides permanent attachment without curing, fastening, or extensive cleanups. Easy-to-remove release liners support peel-and-stick applications and protect plastic foam tapes during extended storage. 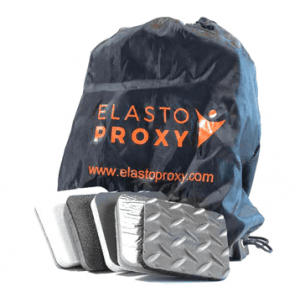 Elasto Proxy supplies plastic foam tapes made of acrylic, polyurethane (PUR), polyvinyl chloride (PVC), and other polymers. These bonding or attachment tapes simplify product installation because they don’t require liquid adhesives or mechanical fasteners. Surface preparation is minimal, the use of harsh solvents for cleanup isn’t required, and tapes won’t run or sag like caulks or mastics. Custom-fabricated plastic foam tapes aren’t just easy-to-handle. They’re pre-sized to fit the joint, which speeds installation.